Best safe anti-ageing non-surgical face lift facial North Shore Sydney. If you are looking in the mirror and think, I do look old. 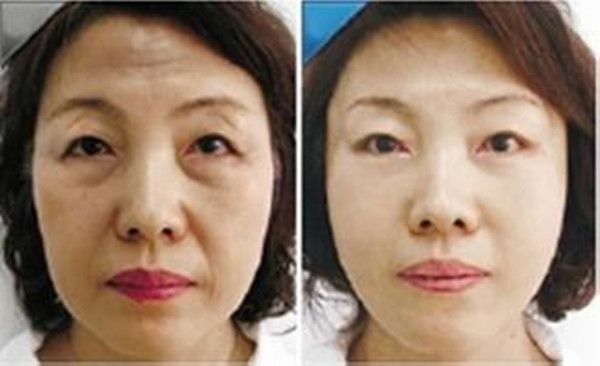 This is one serious anti ageing treatment. We have customers that come in and walk out after a few hours looking years young. Wouldn't you like that to be you? Ask about our exclusive fractional RF, RF and HIFU treatment. At Xara Skin Clinic, Sydney’s number one Skin Care Clinic and beauty salon. We have combined the benefits Thermagie-CPT with Cleansing, Exfoliation, Oxygen Therapy, Anti-Ageing, anti-wrinkle Serums, LED light therapy into one Anti-ageing Face Lifting package, WOW. Each treatment by it's self is an anti-ageing treatment. But when there are five it becomes a supper treatment. Where the end result exceeds the sum of the components. We really like doing this treatment because for every treatment we get two or three referrals. It really is that good. Because our Anti-Ageing Anti-Wrinkle Non-Surgical Face Lift Facial is so unique and it’s such a super treatment we have put it in its own category because it combines Pampering with a Facial face lift. We start the treatment off with a deep cleanse and exfoliant to open clogged pores, clean the skin and remove dead skin. FORMULATED TO BALANCE OILY SKIN AND REMOVE IMPURITIES! The product is formulated for oily skin to balance, clean. To make the skin look fresh and revitalised. All Skin Types, this is a cleansing cream specially formulated to keep the moisture in. So skin retains resilient and supple. Both of the SPA products are loaded with plant extracts, vitamins, are antiseptic, anti-inflammatory and balances the skin. Thermagie-CPT which will have the following effects – skin tightening, repair loose skin, anti-ageing, antri-wrinkle, improves circulation and it turns back time for your skin. Thermagie-CPT increases the temperature of the skin and under the skin. Which has an antibacterial effect. It helps normalization of sebaceous glands. The cuticle will then fall off. Which helps fade acne scars and acne. Thermagie-CPT helps increase circulation of blood and the lymphatic system. It smooths sore and stiff muscles. Helps break down fats which are then excrete it out of body. Helps activate the cells giving the skin new elasticity it didn’t have before. Thermagie-CPT uses radio waves to heat the dermis layer making collagen contract. The collagen will remain stimulated for 6 – 12 months. Resulting in a natural skin tightening, anti-wrinkle and lifting of the skin. While creating uniform volume over the area treated (better skin texture). This is where we use oxygen to push the serum into the skin. More serum, faster delivery, faster results. In this treatment we use our world class anti-ageing, anti-wrinkle Hyaluronic Acid and Matrixyl 3000 Intense Anti-Ageing Serum before the oxygen therapy. In this treatment we use our world class anti-ageing, skin tightening, anti-wrinkle Argireline Hyaluronic Acid Matrixyl 3000 Serum before the oxygen treatment. In this treatment we use our world class anti-wrinkle RETINOL Vitamin A Serum before the oxygen therapy. In this treatment we use our world class anti-wrinkle DMAE & MSM SERUM before the oxygen therapy. In this treatment we use our world class NIACINAMIDE B3 SERUM before the oxygen therapy. By having the best equipment can we deliver to you the safest and best results. Each year we invest tens of thousnads of dollars on the best and latest equipment. Delivering to you the most effective treatments means less treatments, saving you time and money. LED light therapy has been referred to as Botox without the injections. Unlike Botox, the skin tightening results you see will last for two years plus. The results will look more natural. LED light therapy will reduce or remove wrinkles, tighten skin and improve the quality of your skin by up to 60%.